It's been a while since I made a post. I've been busy drawing a lot but not too much that I can post here, and some of my little rough doodles would just be a waste of space I think. 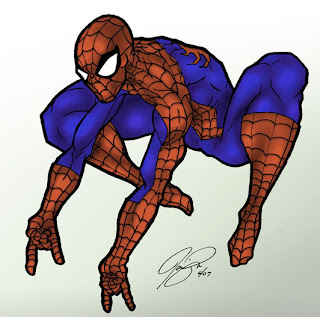 Here's a quick little Spidey just because. I'm kinda whatever about this one. It's boring and pretty unoriginal in pose and style.